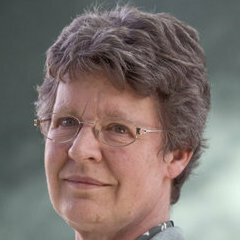 Jocelyn Bell Burnell, an astronomy professor at the University of Cambridge in England, has won the Special Breakthrough Prize in Fundamental Physics. The $3 million award honors her career in physics, which spans over a half century. Dr. Bell Burnell is donating the prize money to the Institute of Physics to support women and other minorities who conduct research in physics. While earning her Ph.D. from the University of Cambridge, Dr. Bell Burnell was the first scientist to discover pulsars, which are neutron stars that emit radiation from their poles. Her male professor ended up earning a Nobel prize for her discovery, and she went unrecognized. Professor Bell Burnell was not phased by her lack of recognition. At the time, the science field was dominated by men and men often received credit for the work of their subordinates. She was no stranger to having to fight for a place in her field. When she attended the University of Glasgow, she was the only woman in her honors physics class. Throughout her academic career, she was constantly berated by men who would whistle and bang on their desks when she walked into class. And when she got engaged, everyone expected her to drop out of higher education. Dr. Bell Burnell managed to persevere and became one of the United Kingdom’s most prestigious physicists. Her discovery of pulsars opened up a whole new branch of astrophysics. She has received honorary degrees from 36 institutions in addition to numerous awards. Dr. Bell Burnell was the first woman president of both the Institute of Physics and the Royal Society of Edinburgh. In 2007, Queen Elizabeth II named her a Dame Commander of the Order of the British Empire. Dr. Bell Burnell holds a bachelor’s degree in physics from the University of Glasgow and a Ph.D. from the University of Cambridge. She is the author of A Quaker Astronomer Reflects: Can a Scientist Also Be Religious? (Digital Publishing Centre, 2013).